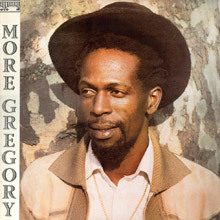 Born in Kingston, Jamaica in 1951 Gregory Isaacs initially struggled to get a toehold in the burgeoning reggae scene. He has rightly been described as having one of the most "exquisite voices in reggae" and he began his thirty-year recording career as a seventeen year old in 1968. Having established himself in the early 1970s he quickly became one of the most prolific recording artists in the country, releasing what many would consider to be a lifetime's work in the three years between 1973 and 1976. 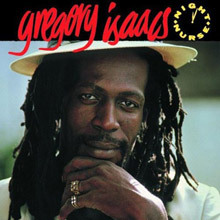 The highlights of his early career can be found on the album, The Winner: The Roots of Gregory Isaacs. When he signed to Island's Mango label to record More Gregory, which he wrote, arranged and produced, it proved to be his breakthrough outside of his own country. 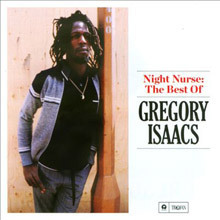 Night Nurse in 1982 and Out Deh (co-produced by Hot Chocolate's Errol Brown) a year later, followed More Gregory. For many, Night Nurse is Isaac's crowning achievement and it's an album full of the smooth reggae that he made his own and it sold well, particularly in Britain. Among his best-known songs from this time are Tune In, Permanent Lover and Wailing Rudy. It's estimated that Isaacs may have released in excess of 500 albums in Jamaica and around the world; whether this is an exaggeration is hard to quantify, but he can still claim to be the most recorded reggae star, which made him hugely popular as a live act too. Isaacs passed away in 2010 having been diagnosed with lung cancer. Born in the Fletcher's Land area of Kingston, Jamaica, on July 15, 1951, Byron Lee was the first to spot his talent and brought him and Winston Sinclair into the studio to record the duet "Another Heartbreak" in 1968. It went nowhere, and Isaacs decided to try his luck with a new vocal trio, the Concords. They set up home at Rupie Edwards' Success label, and over the next couple of years released a number of singles, including one with Prince Buster, but none caught the attention of the Jamaican public. In 1970, the Concords folded and Isaacs struggled on alone. His initial self-productions were unsuccessful, while further cuts with Edwards did no better. Regardless, in 1973 Isaacs set up his own record store and label, African Museum, in partnership with Errol Dunkley, a young singer with a string of hits to his name. Apparently some of Dunkley's magic wore off and one of the label's first releases, Isaacs' own self-produced "My Only Lover," was an immediate hit. Besides African Museum's records, Isaacs kept the label solvent by recording with virtually every producer on the island bringing him a string of hits. Between 1973 and 1976, the singer released more material than most artists do in a lifetime, many proving to be timeless classics. Released in 1975, In Person, features a collection of successes for producer Alvin Ranglin and was followed in 1977 by Best Of, Vol. 1 and Best Of, Vol. 2 in 1981. (The Heartbeat label would bundle up this material across three CDs for the U.S. market: My Number One, Love Is Overdue, and The Best Of, Vols. 1-2). Similarly, 1976's All I Have Is Love includes a hit-filled package of Sydney Crooks productions. Extra Classic, co-produced by Isaacs, Pete Weston, and Lee Perry, is also stuffed with chartbusters and showcases the singer's deepest roots material. The latter album appeared on African Museum, cut with a diverse range of producers, across three volumes titled Over the Years. of Isaacs were apparent: the roots singer, whose emotive sufferer's songs and cultural numbers were filled with fire, and the crooning lover, whose passionate declarations of devotion quivered with emotion. Eventually, the vocalist's ties to the lovers rock scene saw his reputation as the Cool Ruler overshadow the equally impassioned roots performer, but his work in the latter half of the '70s shows his heart was true to both. Isaacs was quick to take advantage of the rise of the DJs; producer Ranglin paired him with a string of cutting-edge toasters for another flood of hits, beginning in 1978. It was at this time that he first hooked up with DJ Trinity, a partnership maintained into the next decade across a stream of seminal singles. In 1978 he signed with Virgin's Frontline label. That same year, the singer had a featured role in the classic Rockers movie. Inexplicably, he failed to set the rest of the world alight. His debut Frontline album, the excellent Cool Ruler, barely ruffled a feather outside Jamaica. It did, however, provide most of the material for Slum: Gregory Isaacs in Dub, which boasted fat rhythms by the Revolutionaries, keyboardist Ansel Collins with Prince Jammy, and Isaacs himself behind the mixing board. Cool Ruler's follow-up, 1979's Soon Forward, was filled with hits that would become classics, but failed to make an impression beyond Jamaica. The latter's title track was produced by Sly & Robbie and gave their new Taxi label its first hit. Isaacs cut several more great singles with the team, which were brought together for 1980's Showcase album. Even with Frontline out of the picture, Isaacs continued going from strength to strength. Inking a U.K. deal with the Pre label and with his fortunes secure in Jamaica, the artist continued turning out hit after hit. His Pre debut, The Lonely Lover, and its follow-up, 1981's More Gregory, both boast the Roots Radics and a host of Jamaican hits that range from lovers rock to deep roots and on to the emerging dancehall sound. No wonder the singer was a hands-down success at the first Reggae Sunsplash. It was at this point that Island Records signed the singer to their Mango imprint. Isaacs immediately repaid his new label's faith with his biggest hit of all, "Night Nurse." The song titled his Mango debut, another masterpiece, and again featured the steaming Roots Radics. Amazingly, as the song spread around the world, the singer sat whiling his time away in a Jamaican jail as the result of a drug arrest. He was released later in 1982 and immediately entered the studio to record Out Deh with producers Errol Brown and Flabba Holt. Once again able to take the stage, Isaacs played a series of awe-inspiring shows over the next year, captured on both 1983's Live at Reggae Sunsplash and the following year's Live at the Academy Brixton albums. Isaacs recorded with anyone and everyone and was just as quick to revise his old songs as create fresh ones. Although none of these are entirely disposable, inevitably the quality of Isaacs full-length work began to decline in the mid-'80s. The Ted Dawson-produced Easy and All I Have Is Love, Love, Love, for example, certainly have their charms, but are hardly crucial. But that didn't mean the hits had dried up. In 1984, producer Prince Jammy, equally intrigued with the changing sounds of dancehall, brought Isaacs into the studio for the superb Let's Go Dancing, while also pairing the singer with Dennis Brown for Two Bad Superstars Meet. The latter proved so popular that a second set, Judge Not, appeared the next year. 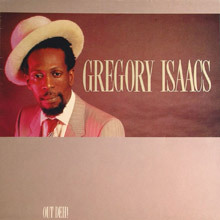 The two singers dueted again on a track on Isaacs' 1995 solo album, Private Beach Party, which also boasted an exquisite "Feeling Irie," which paired him with Carlene Davis. The album was produced by Gussie Clarke, a man with the determined goal of creating an international crossover sound via his own one-stop operation Ã la Motown. He hadn't quite succeeded yet, but Private Beach Party helped lay the groundwork. The singer began the new millennium with aplomb on Father and Son, which, true to the title, features Isaacs and his son Kevin. The duets are gorgeous, while the younger Isaacs is given plenty of room to prove that his talent is equal to his dad's. The next year, I Found Love marked the second time the two worked together. In between times, the singer continued to impress audiences live, and his recorded output continued sporadically during the remainder of the decade. However, by 2007 he had reportedly lost his teeth due to crack cocaine addiction, and he was later diagnosed with lung cancer, which spread and ultimately took his life. Gregory Isaacs died at his home in London on October 25, 2010 at the age of 59. One of Isaacs' most popular and enjoyable releases, 1982's Night Nurse sports the kind of slicked -up roots sound that emerged in the early days of dancehall-era reggae. In addition to effortlessly delivering the same smooth, "lonely lover" vocals that graced his many successful sides from the '70s, Isaacs, along with bassist "Flabba" Holt, also produced the eight high-quality tracks here. On this effort, Gregory Isaacs and the Roots Radics band continue to be a potent combination, though Out Deh! never does rise to the same level of genius as that displayed on Night Nurse and Lonely Lover. It does offer a rather unusual (for Isaacs) mix of lovers rock and political/spiritual lyrics, reflecting in part the time he had spent in prison on a gun charge prior to recording this album. Highlights include the typically sly "Private Secretary" and the album's title track, a quietly powerful meditation on Isaacs' prison term. This reissue features crisp remastered sound and a couple of bonus tracks - the brilliant "Cream of the Crop" and a rather superfluous remix of "Love Me With a Feeling" - as well as informative liner notes courtesy of David Katz, author of the definitive biography of Lee "Scratch" Perry. Recommended. 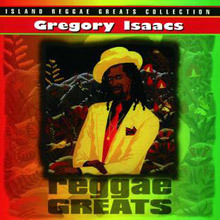 On this 1998 compilation Gregory Isaacs proves he sings a love song like no other Jamaican artist. Effortless, smooth, seductive and sensual, his "Lonely Lover" persona has made him one of the most popular singers in Jamaica since the '70s. Reggae's version of Marvin Gaye, Isaacs' songs remain as popular in dancehalls as they are in bedrooms, having virtually invented the reggae genre known as "lovers rock." October 2010 saw the sad passing of one of Jamaican Music’s most loved voices Gregory Isaacs. The self-proclaimed ‘Cool Ruler’ grew up in the tough Kingston ghettos but went on to have an illustrious 15 year recording career, which included the cross-over hit ‘Night Nurse’ 'Night Nurse: The Best Of’, the most comprehensive collection of his career released to date, highlights the Cool Ruler's rise from virtual unknown to Reggae superstar. Taking in an array of Seventies and Eighties Trojan and Island classics, a number of which make their Universal debut. With extensive sleeve notes by Laurence Cane-Honeysett. One of Jamaica's most prolific and revered singers, Gregory Isaacs cemented his reputation by the early '80s with this fine record. Featuring his favored backing band of the time, the Roots Radics, More Gregory finds the singer working his smooth dancehall magic on ten solid tracks.